Of all of the innovations that the internet has brought to our lives, one of the ones that has most excited marketers for the longest time has been the potential of social and online shopping. And in the last few weeks, we’ve seen signs that the era of social commerce really is about to start in earnest, which is great news for marketers and consumers alike and could transform the way we buy online. Two of the main things we do online are use social media and do our shopping, so it’s natural that companies want to find a way to link the two, i.e. social commerce. There’s basic psychology at work to demonstrate how social media can be used to sell things, and we’ve had years of advertisers and brands doing exactly that in a more indirect way. In social networks we are influenced by our friends, connections, and by celebrities we follow, and we are also influencers. That makes us all great marketing tools in a way that we never were via simple word of mouth in the pre-internet days, when we might only influence a handful of people. By sharing products and purchases on Facebook or Twitter, we are spreading awareness and endorsing them, whether to 100 friends or the millions that watched the ‘Chewbacca Mask Lady’ video and went out and bought Chewbacca masks. That viral video was purely accidental, but brands work hard on blogger outreach and engagement to try and get key influencers to promote their products on blogs and social media channels, because they know how effective it can be. Of course, so far this has generally had to involve tracked links to product pages, where the customer then has to make the final decision about whether to click ‘buy’, so clearly there’s a step that needs to be removed. There are different levels of social commerce, ranging from simple mechanisms that allow you to review products you’ve bought (who hasn’t read or written an Amazon review?) or share the ‘news’ that you’ve bought a new hairdryer or lawnmower with your Facebook friends, to more recent developments that we’ll go into shortly. The end goal is always the same; to entice people into making what is often an impulse purchase. This puts a common sense price limit on the kind of products and services that are appropriate for social shopping, as you’d have to be incredibly rich to see a house on Facebook and then buy it, and the same goes for cars and other expensive items that require a lot of consideration before your average customer will click ‘buy’. It’s not as simple as saying only relatively cheap things will be worth advertising in this way though, as holidays ARE the kind of impulse buy people will make if the ad is good enough and the destination is tempting enough. The market knows what sells and what doesn’t, and is having to continually learn the best platforms and the best tactics to appeal to their target audiences, as well as the quickest way to get them from seeing something interesting to actually receiving the confirmation email saying that they’ve purchased it. And, most importantly, the social media channels know what advertisers want from them and are working hard in the background to deliver that while avoiding alienating their own customers, a fine line to walk. So what are the big players planning in the world of social commerce? No matter how many times we hear that its time has passed, Facebook just keeps on going, and with 1.65bn active users, it remains a huge market to be tapped, as well as proving to be resilient when it comes to making initially controversial changes in the name of making itself more appealing to advertisers. So it’s no surprise that it’s continually introducing new tweaks and functionality to drive conversions, including a few just last month. One of these was Store Locator, where brands can run location-specific ads that will tell the customer where their nearest store is, when it’s open and how long it will take to get there. Facebook is also providing Offline Conversions API that aims to help shops match up their own data from in-store sales with the online ads, bridging an enormous gap in marketing data that could prove to be a real game-changer if it gets used and proves itself reliable. Shoppable video ads are also in the pipeline, allowing customers to see a product in the ads and get to the Buy Now button with a minimum of clicks in-between (one click shows you information about the product, another takes you to the website to buy). It’s not exactly innovative as YouTube already has a similar mechanism in place, but it would still be another big step forwards for Facebook ads and the way brands can use them. When Facebook bought Instagram, one of the fears fans had was that it would be turned into a glorified shop front, but so far the commerce additions have been added in sensitively and far from being abandoned, Instagram has keep on getting more and more popular. Shop Now buttons were added last year to sponsored ads (which can also be turned into carousel ads) taking users through to the relevant product page without needing to find a link in the Instagram account’s bio to go and look for the product. Here’s an app that finds itself in a bit of a quandary. Snapchat has always won favour with younger audiences partly because it didn’t try to sell to them. But like any maturing digital property, it needs to make money to keep itself going, so it has to sell its very marketable audience to the highest bidders and has launched its Snap Ads Between Stories feature, initially to 10 major US brands. It will be interesting to see how brands start to use Snapchat in this way, with a softly-softly approach having generally been taken through the use of filters, etc to market to this most appealing and unreachable audience. There are rumours of a new ad scheme being trialled that will work a bit like the carousel approach on Instagram but with a number of tweets all within one promoted post, as Twitter tries to offer new ways for advertisers to get their messages out there. It’s obviously quite easy to use links on Twitter to take users straight to products, and another innovation due is giving advertisers the chance to market to people based on their emoji usage, which should be particularly interesting to manufacturers of toilet paper. It’s not just on social channels that this approach is being used, retailers and agencies are taking learnings from social business into other online channels. Nobody’s Child is working with Bijou Commerce on a Tinder-style swiping system to help customers browse its products (swipe right if you like it, left if you don’t) in a bid to revolutionise the way its shop works on mobiles. There’s also a fashion search engine called Fynd, which uses social media style ‘likes’ to define what a customer is looking for and guide them towards the purchase. All of these are examples of the ways in which social shopping is becoming a real part of all of our lives, more and more every day. There are so many opportunities for the marketers who are willing to stay in touch and stretch the boundaries of what has been done before, all in search of the next big thing that will deliver sales. As our lives become more online, more mobile and more social, it’s only natural that so do our adverts. Which social media channels do you use to advertise? 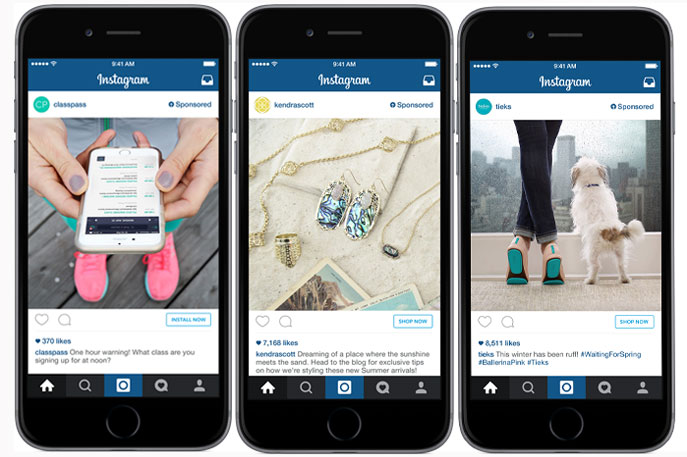 What do you think the next big breakthrough in social commerce will be? Let us know in the comments section or via social media, and don’t forget to subscribe to the blog to receive more articles straight to your inbox.